This past summer, the sunflowers in our backyard were over 5 feet tall. Instead of just one bloom they had many on each stalk. I was amazed at how pretty they were and the blooms lasted for weeks. A little lower in our garden was fragrant lavender. By mid-summer, they had reached a vivid purple and the scent was divine. The incredible thing about these flowers was the bees they attracted for the last months of summer and into the first month of fall. Honeybees buzzed around collecting as much pollen and nectar as they could. It was beautiful to be so close to nature and know that we were helping our ecosystem. Did you know there’s a ton we can learn about family, home, communication, and productivity from honeybees?!? When I started Our Happy Hive, I knew very little about bees. I landed on this blog name is because “Melissa” is Greek and means honeybee. Since I write primarily about home and family, the “Hive” concept stuck with me. But since launching the blog, I’ve become more aware of bees and their fascinating world! 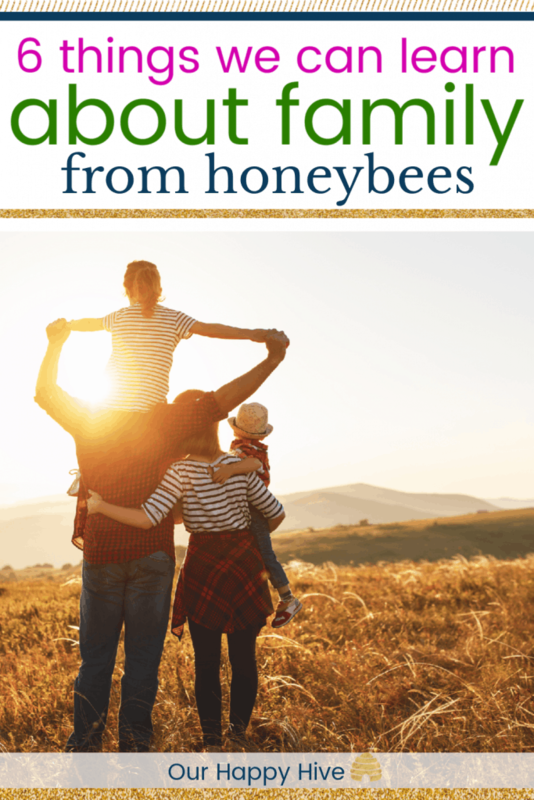 Check out the top 6 things we can learn from bees about family and home. Bees are known for being social insects. They live with their “family” their entire life. In fact, bees can’t survive on their own and are dependent on each other. Before I was married, I traveled the world. My professional job took me to Australia, London, Peru, and Chile. I lived in Santiago, Chile for a period of time and had the chance to relocate, but not having family there was a huge barrier for me. Fast-forward a few years when I married a Canadian. Once again, I was faced with the decision of moving to anther country. This time, I was with my “sweetie”, but it was still gut-wrenching to leave my hive. Similar to bees, the queen bee left the familiar nest to go start another colony. At the time, a good friend wisely encouraged me that I hadn’t even met some of the most important people that would be in my life…my future kids. (and she was right!) We too are social creatures and need the community of friends and family. Like bees we thrive when we’re with our hive! Bees are incredible at communicating. They want everyone in their family to be on the same page. Bees have a special dance (the waggle) to tell their fellow bees about danger, food sources, and needs of the hive. They even use scents to help communicate. Incredibly, bees will seek input from other family members when making decisions. Similarly, it’s critical that parents place a high value on communication. Early on a family learns how to communicate about standards, expectations, and values. It can be a struggle to keep everyone in agreement and at times, our pride gets in the way when we should be seeking input from our partner or kids. With the exception of the Queen Bee, other bees have a very short lifespan, but they do a lot in the course of their short life! The worker bee rotates through many different roles in their 45-day life. They clean the honeycomb, seal the cells where the soon to be baby bees are born, then become a nurse bee for the babies, make honey, store pollen, feed and clean the queen and protect the hive. They also build the cells of the honeycomb, receive the nectar, pack pollen, and seal the honey cells. Wow!!! That’s a lot! Another interesting fact is that they are mono-taskers only doing one role at a time. (something I have recently learned actually makes you more productive.) By having all of this experience, they are highly flexible and can change tasks if there’s a crisis in the hive or if a need arises. One of the first things my husband and I did in pre-martial counseling was talk about our ideals on division of labor. We all come into marriage with our own paradigms, and whether you cook, clean, take out the trash, or mow the lawn, it’s imperative that your on the same page with your spouse and, like the honeybees, you have a clear division of labor, yet can be flexible and adaptable when needed! 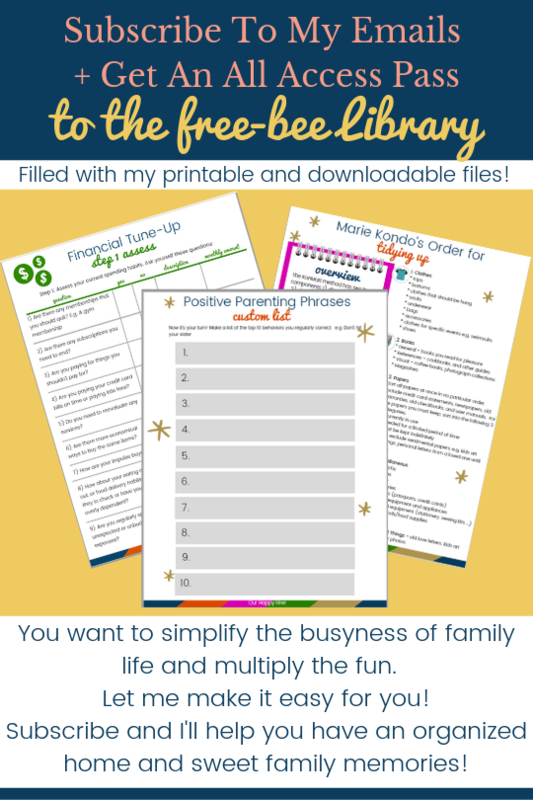 As a busy mom, I know the benefit of optimizing various spaces in our house and being organized. Typically the more organized I am, the more efficient our family runs. There is a constant process of cleaning, decluttering, and repurposing similar to the bees hive. The honeycomb is the heart of the beehive. It is a structural phenomenon, well planned, and organized. 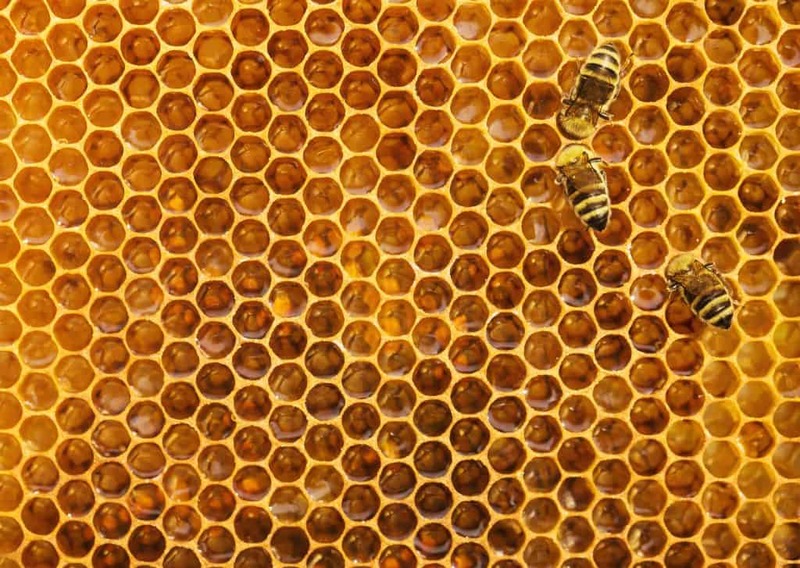 The honeycomb cells are used to store the bee’s resources like nectar, honey, and pollen and they are also used to house the baby and adult bees. The hexagon shape is extremely efficient in maximizing space, optimizing the storage of honey, and requiring the least amount of building material (wax). This intelligent design helps honeybees build their comb with speed. These bees are pretty smart!!! The well-organized colony has cells dedicated for various purposes to support the hive. Cells are cleaned and re-used by the worker bees. 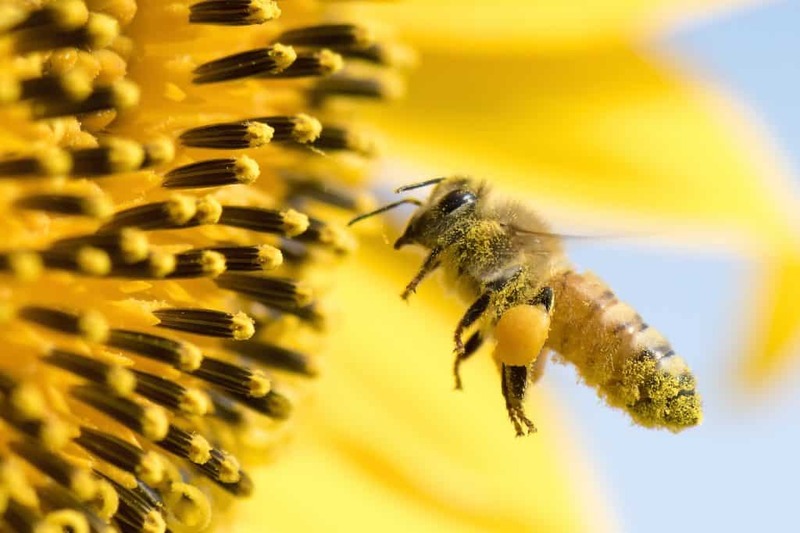 If the hive acquires too much honey or pollen, the bees become “honey-bound” and either need to look for a new home or need human intervention (yum yum). It sounds to me like they have acquired too much “stuff” and need a good decluttering! By nature, honeybees are resourceful. They work hard to provide for the present and the future. Bees live within their means and are consistently preparing for the future when there will be a temporary shortage. They store honey so that their hive can survive the winter when there will be a lack of pollen. Families likewise should live within their means and make efforts to save for the future. Finally, while most of a bee’s existence is seemingly focused on the survival of their own hive, they actually play an important role for human society. Did you know that about one-third of our diet comes directly or indirectly from insect pollinated plants. And, if you guessed that bees are the primary pollinators, you’d be right! They account for 80%! Humanity is clearly dependent on bees! Civilization is also built upon the pillar of family. It is the basic social unit of society. While most families are focused on their own success and existence, without out realizing it they are collectively impacting our world and a healthy society is dependent on them! In many ways, honeybees are excellent examples for our modern day home and family. We can learn about being industrious, flexible, and productive. The importance of communication, division of labor, and being connected is also apparent. Our homes play a central part in supporting family life and like the hive we can organize and maximize our space. Unknowingly, both have a HUGE impact on society. Last but not least, we should take a cue from the honeybees and make sure we have fun and dance (or should I say waggle?!?)! 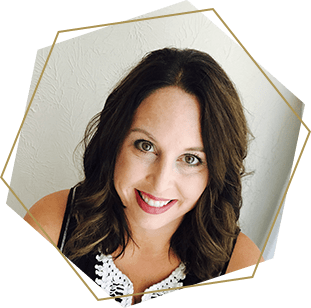 Thanks for checking out Our Happy Hive where we explore home and family focused topics to inspire moms to simplify family life, make sweet family memories, and have an organized home life! Make your life count…bee intentional, live with purpose!